We know the importance of keeping sign ups sleek and simple. That’s why SignUpGenius makes it easy to hide past or future dates and help your group members find current sign up options quickly. Your event participants — and their thumbs — will thank you when you eliminate unnecessary scrolling. Work shift sign ups or vacation schedules over the course of a calendar year. Create the full sign up ahead of time, but only display a month at a time. School sign ups for lunchroom volunteers or media center checkouts. Make it easier for participants to find highest priority needs. Quarterly nonprofit or church volunteer schedules for daily or weekly opportunities. Easily set up the sign up to automatically hide past dates. A community theater sign up for the entire season. 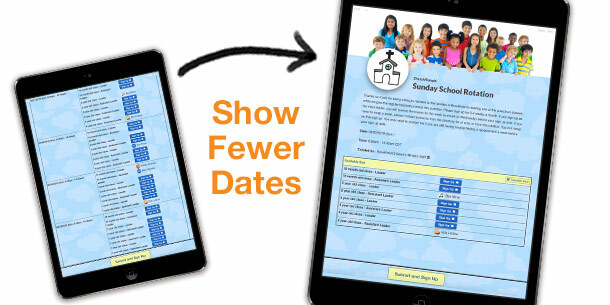 Hide past and future dates to show only the current show or to prevent people from signing up after a deadline. Fitness class sign ups where you want customers to see the most current classes. Open mic night sign ups at clubs or coffeehouses. Only show a small selection of dates each week so that performers don’t sign up for too many nights and block others from catching their big break! To hide past or future dates, go to Step 3: Dates/Times in the sign up creation wizard. 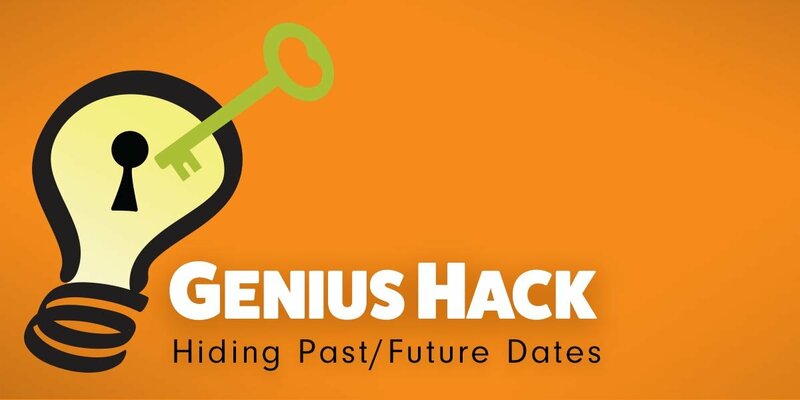 At the bottom of the page, expand the “Advanced Settings” section and click on the button next to “Hide Past / Future Dates” to turn the option “on.” From there, you can choose to hide past dates, future dates or both. Dates in the past can be set up to roll off automatically and future dates can be set up to show when they get within a time range. With the ability to hide past and future dates, your sign up will stay fresh and relevant. Simply genius!